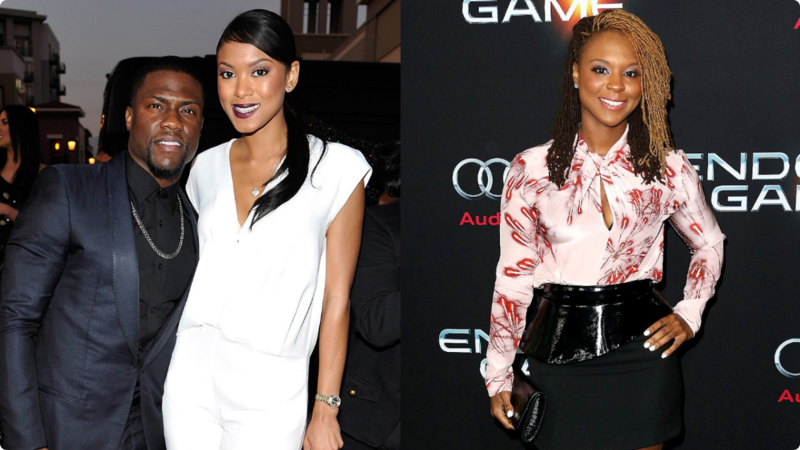 Kevin Hart Discusses His Ex-Wife Torrei and Fiancee Eniko Now Amicable Relationship! To promote the new movie “The Wedding Ringer” actor/comedian Kevin Hart spoke with New York’s Power 105 radio statiomm The Breakfast Club, and discussed the status of the relationship between his ex-wife Torrei Hart and fiancée Eniko Parrish. According to Kevin the relationship between the two is amicable and is an improvement from the lack of communication between the two. Basically, Torrei initiated the peaceful relationship. Kevin discusses the exchange, the previous status of the relationship between the two women, Torrei attending his wedding, his current relationship with his ex-wife Torrei and timing of his proposal to Eniko on the same day of the premiere of Atlanta Exes.